It’s this time of the month when I do a round up of what I’ve been up to over the last few weeks. 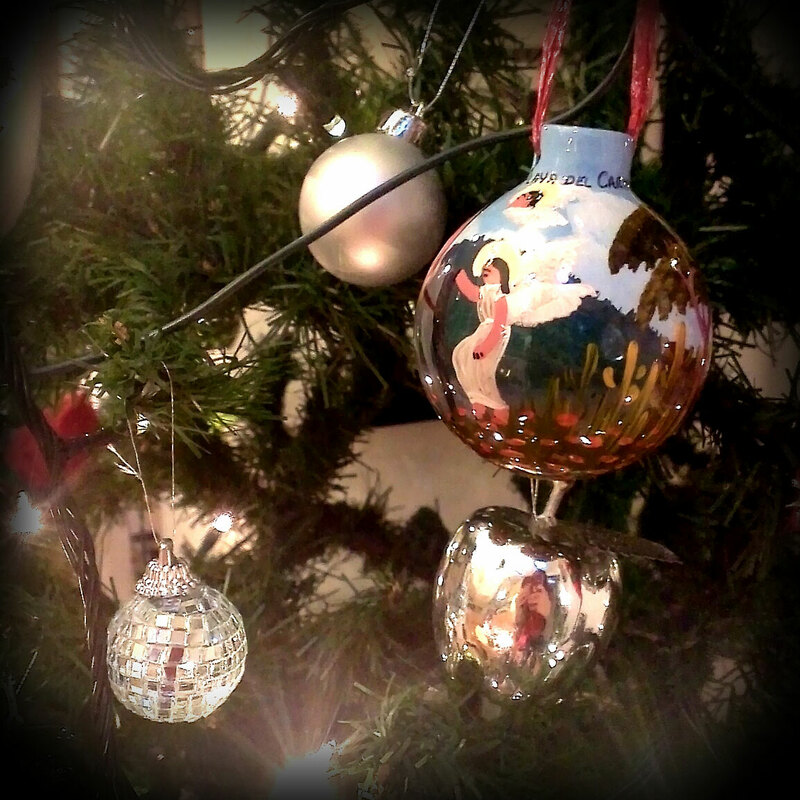 This week it’s hard to look back without going all a bit Christmassy on you, which I’m sure we are all over by now! So here’s a little round up (and I’m still in a holiday-induced daze so all I can think about is eating chocolate and watching films in my pajamas-sorry). Yes, in case you missed it, it was Christmas. 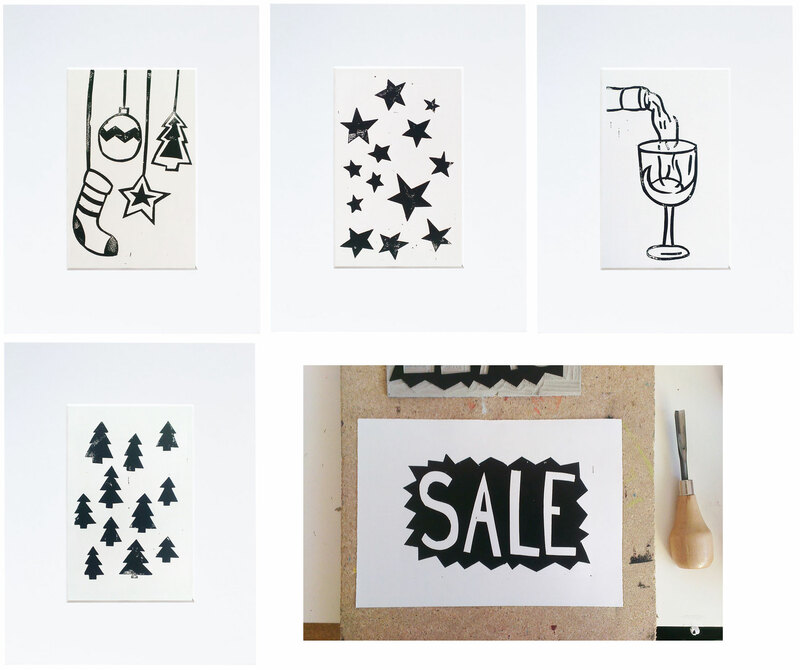 I spent a lot of last month writing Christmas-themed blog posts, packing up orders and standing in Post Office queues (thanks to everyone who ordered from my shops – much appreciated! ), making Christmas crafts, planning Christmas dinner…the list goes on. Once the big day rolled round my family had our alternative Christmas dinner. As there is only 4 of us for Christmas lunch, we usually do something a bit different from your usual turkey and trimmings. A month or so before Christmas we each pick a course and country out of a hat, and each theme our course around that country. This includes the food, but could also include music, decoration, costume, drinks or even games. We don’t know what country each person has, so it’s a surprise on the day. It does mean it takes about 5 hours to eat lunch, but that’s all part of the fun. 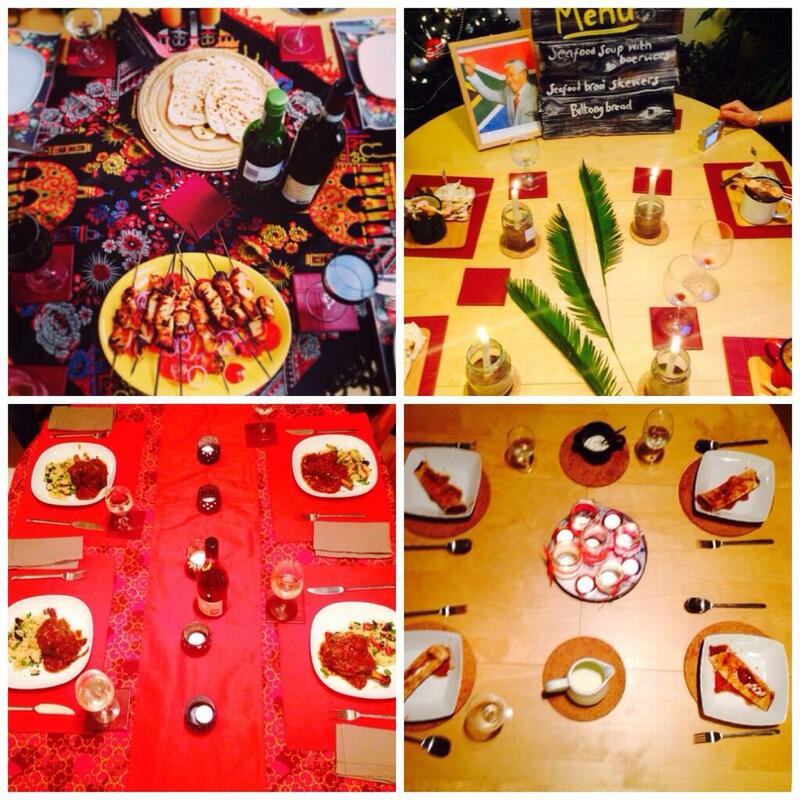 Here’s a photo of our feast that I’ve stolen from my sister – thanks Sam! 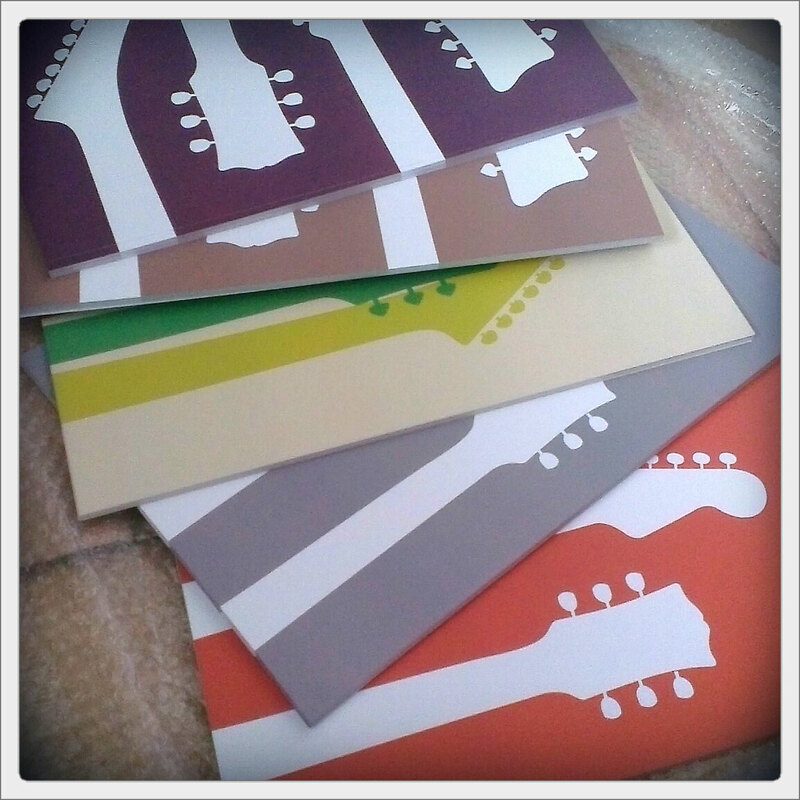 Look out for some new guitar prints in my shops soon. I really love these new designs and I hope you will too. They are so simple and bold and perfect if you are a music fan or keen guitar player. I’ve just spent the morning photographing the new prints (such a bright, sunny day so it was perfect for it), and they will be online next week. In the mean time you can check out some offers on my current guitar prints in my shop. I love a good old board game, and this time of year brings out lots of dusty boxes from under the bed and the back of the cupboard. We saw in the new year playing Shithead (if you don’t know what this is find out out here. 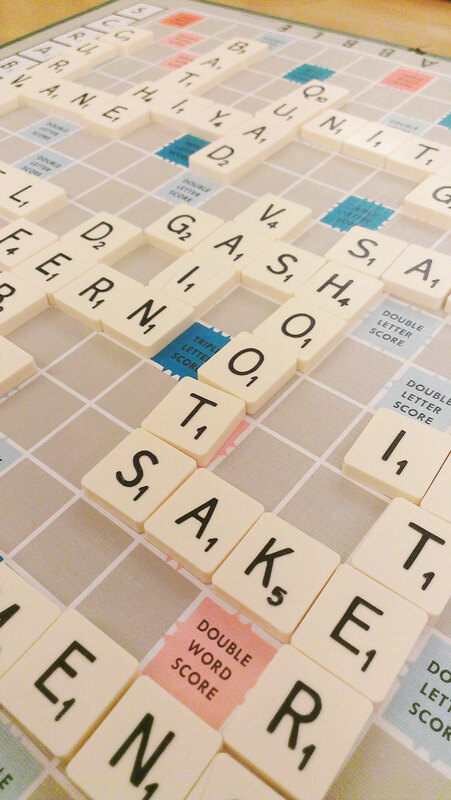 You just need a pack of cards), but I’m also a big fan of Scrabble. I’ve recently discovered that Oxford has it’s own board games cafe called Thirsty Meeples. I must go. 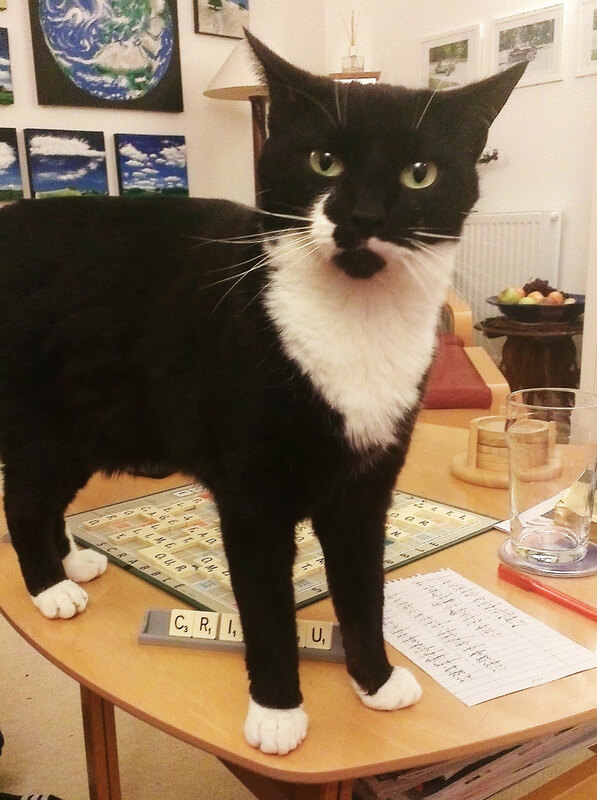 Franks loves Scrabble. But it all kicks off when he tries to convince you that Felix is a Scrabble word. Still going strong – despite forgetting about it one week! Don’t worry I’ve caught up. So that’s it! I’m now gearing up for the new year, with new cards coming soon, new projects underway and another year of blog writing! Happy new year to you all.